Shopping for the perfect sump pump for your home can seem daunting. There are so many things to consider when replacing or purchasing a new unit for your home. Here are some tips on how to choose the right sump pump for your specific needs. Choosing the right sump pump for your home requires knowing about the basic types available. There are several styles of sump pumps available to you. The two main categories are manual and automatic. The most common form of sump pump found in a residence is the primary sump pump. It is engineered to eliminate water from the basement and prevent flooding from occurring. The first type of pump is the pedestal pump, which are oriented in a manner that pushes the motor out of the water above a sump basin. The other kind is the submersible pump, which is placed under the water within the sump pump basin. The combination sump pump consists of a primary and battery backup pump features. This pump combines the capabilities of the two types of pumps. What should you consider when evaluating a sump pump? The horsepower of the pump should always be between one-quarter and one-third horsepower. The head pressure should be high enough to where it can push the water to a certain height where it can remove water from the sump pit. The cord length should be long enough to plug directly into the nearest outlet. The voltage for the sump pump should never exceed 110 volts. The sump pump should be made with quality, non-corrosive materials. If made from the right materials, it will last much longer. A pump with a cast iron core is recommended. Your sump pump should not have a core made from plastic. A strong warranty is also important to have, especially if you know that it’s going to see a lot of use. If replacing an existing pump, select one with the same HP as the one you already have installed if things were working well for you in general. It should always carry the same dimensions as the previous pump in order to have a proper fit. If you are upgrading, the sump pump should only be one size larger than the previous version. The sump pump should have a horsepower between ½ and ¼ hp. The average home can benefit from a 1/3 hp sump pump. A sump pump with 1/4 hp is ideal for homes with basements more prone to flooding. You have several things to consider when choosing the right sump pump for your home. Consider the weather conditions in your area and whether or not your home is vulnerable to potential flooding. Think about what features would give you peace of mind. Shop with longevity and service life in mind when looking for a sump pump system for your home. Do your research beforehand to be certain of the dimensions to avoid an improper fit. Discuss the details with a plumbing specialist if unsure. 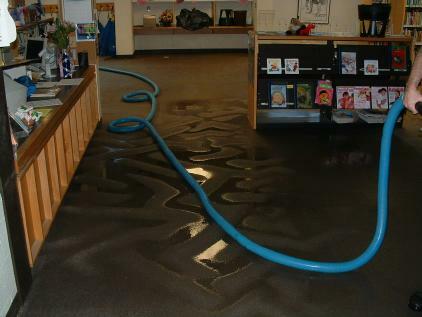 With the right sump pump, you can avoid flooding that leads to serious water damage and mold.